Thank you to everyone who entered the PinkBlush giveaway. I'll be emailing the winner soon! Happy Hump Day, and thank you for stopping by! You are so chic enough to be Parisian and this proves it! Loving everything. You look perfect for a stroll in Paris! Love that scarf! 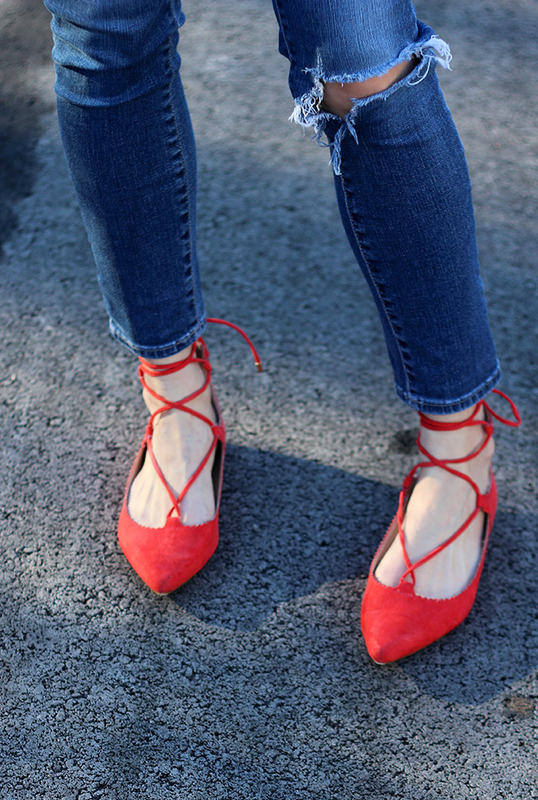 I LOVE the red handkerchief around your neck paired with those red lace up heels! Very Parisian, Rachael! You look beautiful, and I love that you re-styled the dress as a top. I have to try that. Those shoes are just the most! This is super Parisian chic, indeed. 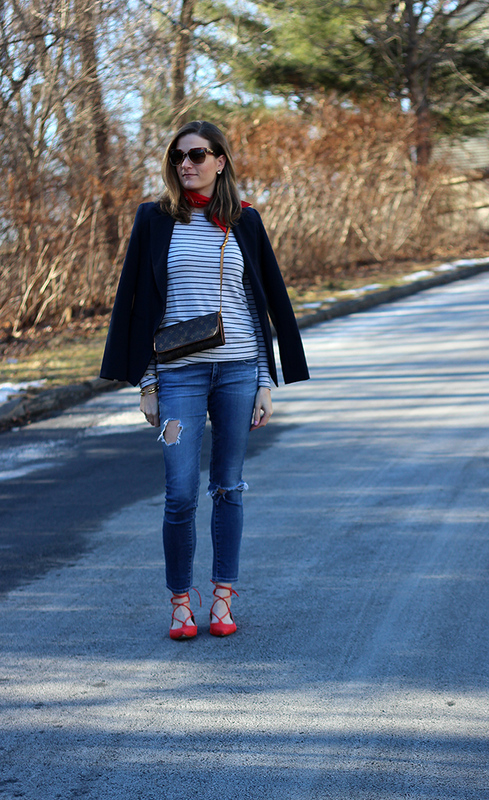 I love the pops of red from your shoes and amazing neck scarf! Love this look, so glad you decided to share it! 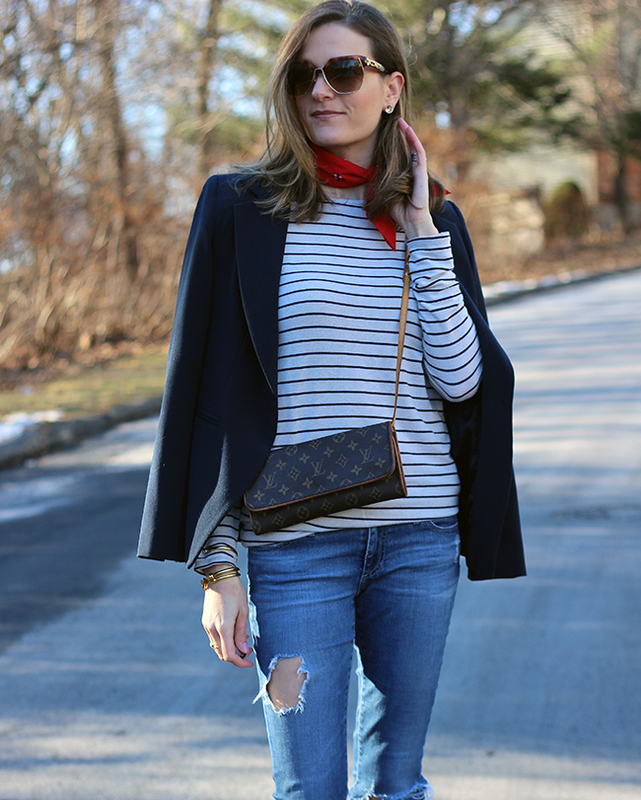 The scarf makes it totally Parisian chic! Girl, you are definitely very chic to be in Paris, attend Parisian fashion shows and such. This outfit is so chic and so you. It is also the type of outfit I would wear, too. I am glad you shared it on the blog - too good not to be shared.